All this with the more serious, in-suits crowd of world renown Prime Ministers, mayors, ministers, bankers, and young bright minds trying to find their place in this crazy world! Since some of the world’s industry water leaders were going to be in Amsterdam, we hosted a roundtable at the Industry Leaders’ Forum to tap into their insights. An important talking point was the constraints our clients and other water actors face in meeting their water ambitions. The objective was for ING to determine what role we can play in helping resolve those constraints and also understand what kind of financial solutions are needed to make CFOs interested in participating in water solutions. As objectives differ for banks, corporates, technical companies, NGOs, utilities, etc, the key to success was not trying to find a common goal, but instead to see how we could work together to help each actor achieve their goals. ING was represented by Peter Kindt- Head of Metals and Mining- EMEA, and Geoffrey Smith- Head of Infrastructure-EMEA, and me. We had large corporates, end users of water - PepsiCo and Heineken- who often operate in water stressed regions and for who, without water, there’s no business. Note, not only do you need water for the beverages they make, you need water for agriculture to grow raw ingredients like barley, potato, sugar etc. Agriculture by the way, consumes over 70% of all the world’s freshwater today. Our effort is to find financial solutions which clients can use to more effectively manage their water impact and stay resilient in times of climate change, all the while maintaining a profitable business. This is similar for other companies who are in “thirsty sectors” such as agriculture, food, beverage, textiles, mining, energy, paper, manufacturing and utilities. We also had technology companies like Xylem and Atkins which design technical solutions to better serve clients’ needs. Companies like these are also our clients. Here, our interest is to see how the best technical solutions can find the right kind of financing to ensure they go ahead. That’s why we also invited advisor/investor QStone Capital, which works to find financial solutions for waste-water technology companies. We had the CEOs of utilities/operators like World Waternet and Vitens-Evides. These companies work internationally, even in difficult regions, where they share their expertise and provide water solutions. Yes, these companies are also our clients. You might already be able to see one role emerging for us here, that of connection. Just like our roundtable, we bring all of these different types of clients together. And when they’re already clients, it makes designing financial solutions which help them easier. And we didn’t forget another crucial part of this puzzle, the NGOs. Good and effective NGOs like WWF, World Economic Forum (WEF) and CDP, have access to large networks and are often the ones responsible for bringing water actors together to find solutions. We wanted to hear from them on what is already going on and hear what role they see for us in the discussions they have. It was no surprise therefore, that our table was compared to what a river basin discussion would look like, if different water actors were willing to understand each other’s constraints and worked together to address them. 1) As mentioned, ING can play a valuable role in connecting different actors with each other so that the best solutions can be found. 2) Usually industry players work around a river basin, where they share their water source. They therefore depend on each other’s actions and share common challenges. A river basin approach therefore, where the different industry players work together to resolve them, only makes sense. Where the different players are ING’s clients, it would be valuable to see if we can bring them together and find river basin financial solutions which would help them accelerate water solutions. 3) A lot of corporates are able to manage the water footprint of their own activities, but find it challenging to address the water footprint of their supply chain, usually farmers. While the first image that comes to mind is small farmers with no ability to attract commercial finance to improve their operations, we were challenged to think of the mid-sized farmers. They often live in regions like the US where we can provide commercial finance. They manage established businesses who need a reason and finance to improve their water efficiency. 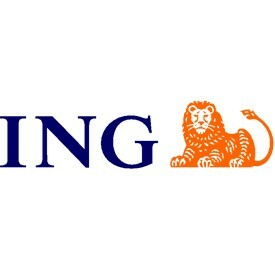 ING could definitely play a role here. 4) Technical companies, utilities and water experts often lack commercial finance expertise and knowledge on designing solutions which remain commercially viable and even attractive. ING can use its expertise to work with them and ensure from the start, solutions are designed to be scalable, commercially viable and profitable. 5) Understanding each other’s constraints but also each other’s expertise areas is key to finding better solutions. We realized this short roundtable, where we created an atmosphere of open and honest discussion with no “corporate-talk”, was appreciated and valued. This should therefore not be a one-off discussion we have with our clients or with each other. ING will find a way to keep its “water community” engaged and connected so that we can reach out to them, and they can reach out to each other. Robert Siltanen said, “The people who are crazy enough to think they can change the world are the ones who do.” And we had some pretty crazy people around our roundtable! So now we will roll up our sleeves and see how we can change this world of water. Before we end, I’d like to share some other notable experiences from the conference. ING’s Eugene Kock, Head Nordic and Belgian ECA Finance and I were invited to an informal session with Dutch Prime Minister Mark Rutte and Henk Ovink, the Special Envoy for International Water Affairs at Kingdom of the Netherlands. The session hosted about 40 people and reinforced the Dutch commitment to providing water solutions globally and we were delighted to be part of this select group. We were also happy to be on the panel on “Financing the big water actors”, where we discussed the biggest challenges to finance larger projects. We’ve taken a lot back from this water week and will keep you posted on our next steps as, one by one, we tackle our action points, learn from them and share our insights to further water solutions. ING's senior consultant of global sustainability programmes Kaitlin Crouch is among the expert speakers appearing at the Sustainability Leaders Forum 2018. Taking place on 24-25 January 2018, the Sustainability Leaders Forum will bring together an array of ambitious professionals who are moving beyond compliance to tackle global issues and deliver transformational change. Find out more about the Forum and register to attend here.